Blazers have become one of the hardest-working items in the wardrobe these days. 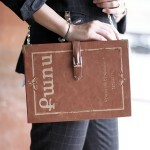 This staple is definitely the key to professional and trendy power dressing for almost everyone. 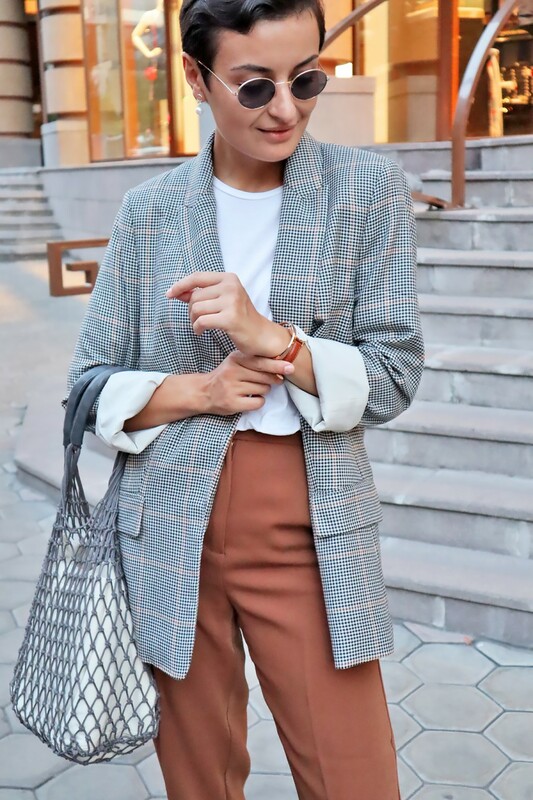 The blazer trend can be spotted in the streets all year round. I’ve noticed that fashionistas pay more attention to checkered prints rather than to solid colours. When it comes to pairing – the only rule is that there are no rules. Blazers work literally with everything. 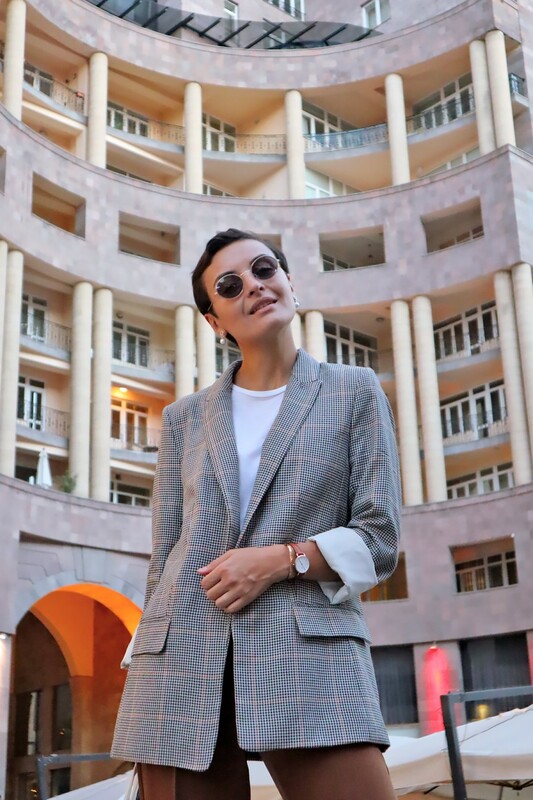 I was wearing this sport chic outfit with a checked blazer and caramel-coloured pants paired with white sneakers during my September business trip to Yerevan. Frankly speaking, the blazer style has taken over my wardrobe as well. 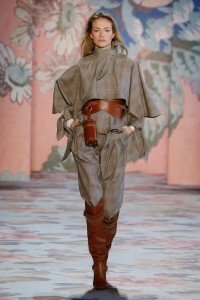 Wherever I go, I wear this practical trend all the time!